The charming Globales Cala’n Blanes has a fantastic location close to the resort centre and a secluded, sandy cove. Days can be spent relaxing on the white sand or cooling off in the crystal-clear waters or if you’re feeling active there is plenty of activities for all ages back at the hotel. Close by you’ll find the fantastic Aqua Center waterpark. Open from May until September, the Aqua Center boasts a variety of attractions, from water slides to go-karting and soft play areas; it’s great for a fun family day out. 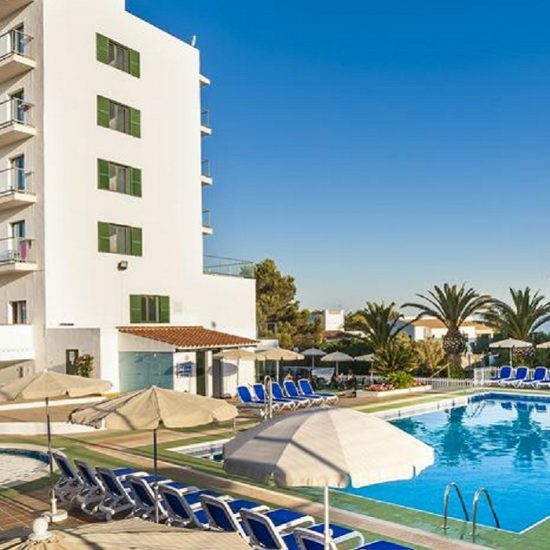 With fresh, modern accommodation and an All Inclusive board basis, both couples and families will find this the perfect choice for a relaxing break.